Are you a big fan of Lego? Do you have Lego collections? Do you spend a lot of money to satisfy your Lego needs? If yes, you are officially a Lego maniac. 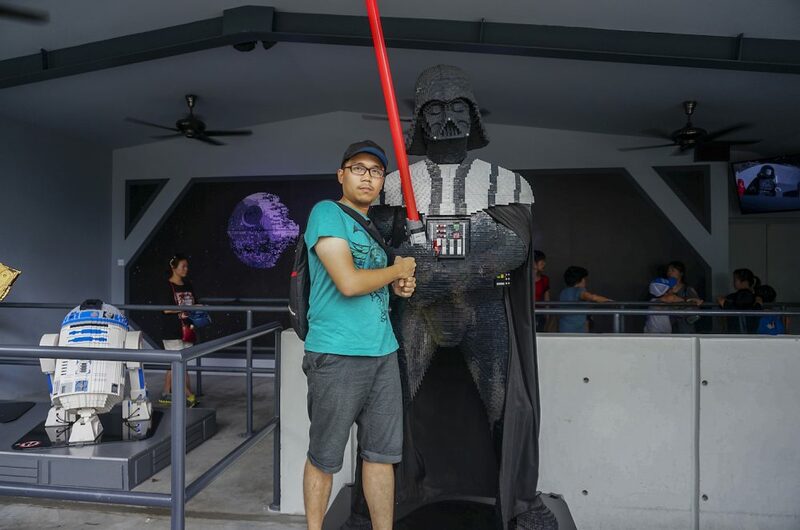 This post is dedicated from my trip to Legoland in Johor Bahru, Malaysia. 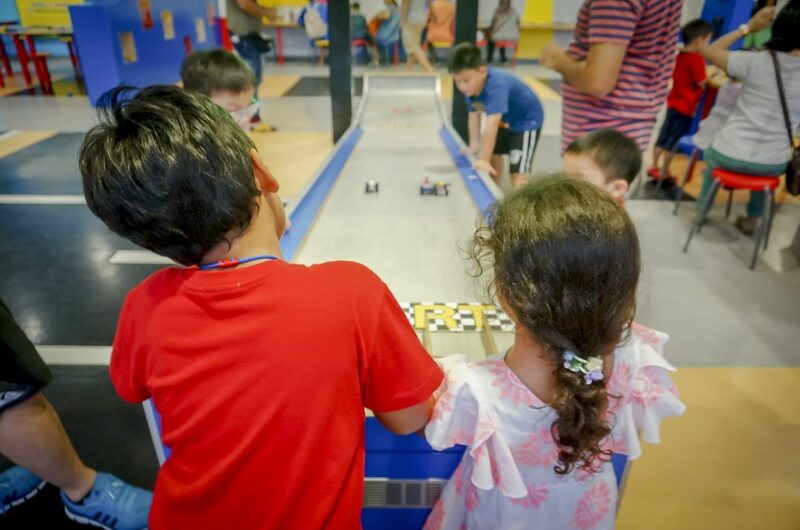 Ever since the Lego was founded in 1932, where it all started in a Danish carpentry workshop of Ole Kirk Christiansen, in Billund, Denmark, Lego has gone viral until today. It considerably as one of the most popular and profitable toys, the toy of the century they said. Christiansen was considering two names, “Legio” (with the implication of a “Legion of toys”) and “Lego“, a self-made contraction from the Danish phrase leg godt, meaning “play well.” Later the Lego Group discovered that “Lego” can be loosely interpreted as “I put together” or “I assemble” in Latin. Ole Kirk selected his own name, Lego, and the company began using it on their products which eventually create Legoland. Here’s more of Lego history. Petronas Twin Tower made of Lego. Of course! It’s their pride. 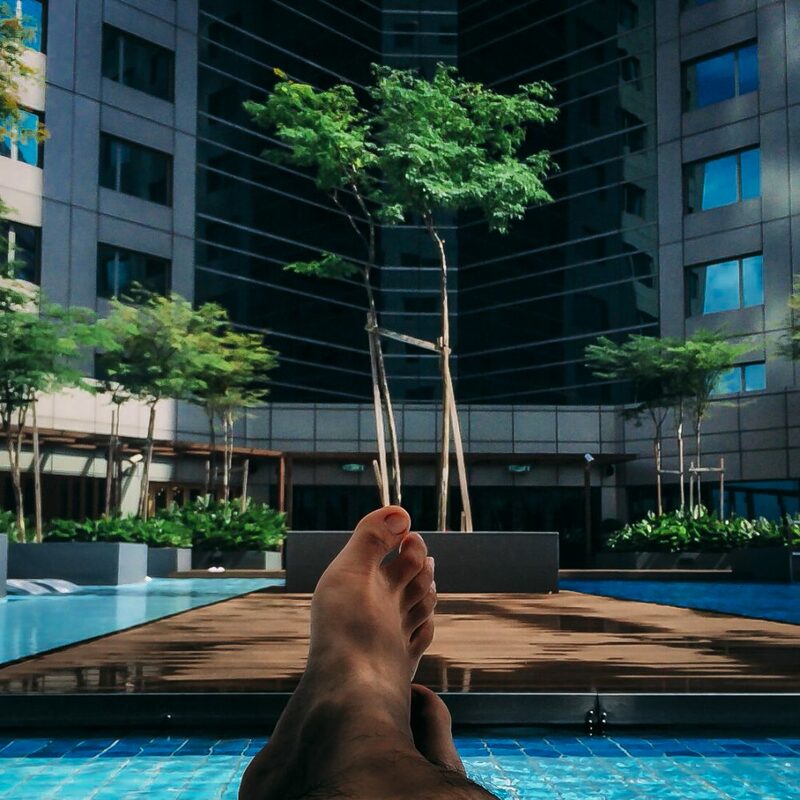 In the last post, I shared about enjoying KL one last day before leaving to Johor this morning. This morning, we packed and did the morning routine pretty fast, as we had packed last night. The taxi driver uncle which I mentioned about booking a car to Johor in this post, was ready for us right at 8.30 a.m.
We checked out from our hotel and hit the road with no fuss. 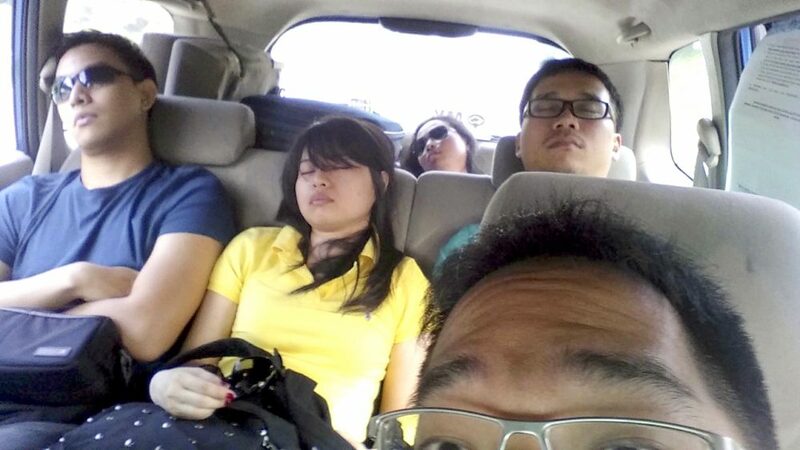 The trip to Johor took us about 3 hours. We booked the taxi (MPV) for RM 500. Meters? Of course not. I don’t know how taxis ‘work’ in Malaysia, all I can tell is that the driver turned on the meter, which in the end shows more than RM 900, but we just paid him RM 500. You be the judge, okay. Our taxi driver was nice. The uncle was a good driver, he drove stable and fast enough but still comfortable for us to fall asleep. We made a few stops at Petronas gas station to fill the tank. As I can recall, we made 3 stops. The uncle drops us at the hotel lobby for us to check-in, and he offered a deal of RM 70 to take us from the hotel to Legoland, which then we agreed. You know, just to make things easier. The check-in was smooth although they had a long queue as guests checking in and out. Upon arrival, they gave us free cookies (fresh warm choco chips cookies), one for every person. Nice intro, Double Tree… So we took our baggage upstairs to our room. It looks like no problem at all with all 5 of us going in 1 room. We booked the deluxe 2 double bed. room was very nice, clean, and of course, the comfort was another level than our previous hotels. Their mattress and pillows are so comfortable, not to mention their blankets are so fluffy. So comfy that I forgot to take any picture from the room. Enough with the room, we go down and ready for Legoland. It took only 10 minutes approximately before we finally can see the Legoland signs. This area is quite empty, maybe because it’s like the outer part of the city or the suburban area which we can still see some constructions going here and there. We also saw the Hello Kitty Land, very close to the Legoland. But well, you know, none of us are a fan of Hello Kitty. Whoa, where have you been with that meter? So expensive..
And he keeps questioning one of us where, what, how much and bla3. I don’t know what’s bugging him that much, but in Indonesia we got a term for this kind of people, it’s #kepoh. Maybe we looked rich to them riding a taxi for RM 900. Little did he know, we paid RM 500. If you think that it is expensive, it is. But then, it’s private and more comfortable. No problem with us. You should find what suits you perfectly for transport when you’re traveling, right? Of course, you can find way cheaper transportation from KL to Johor Bahru, such as train or bus. We get our lunch first at one the restaurants available in the entrance area. Lunch for RM 89.60, and it’s Chinese food. We quickly go to the ticket counter to change our e-ticket which we bought for RM 132 / person. For the update ticket price please check here. They also have a water park, great for kids. Everybody took photos here, so do I. 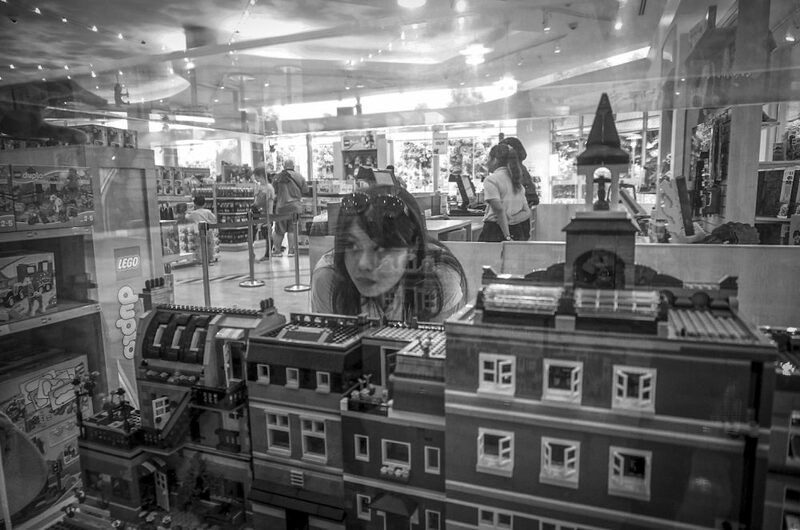 You won’t believe how excited they were, those lego fanatics. 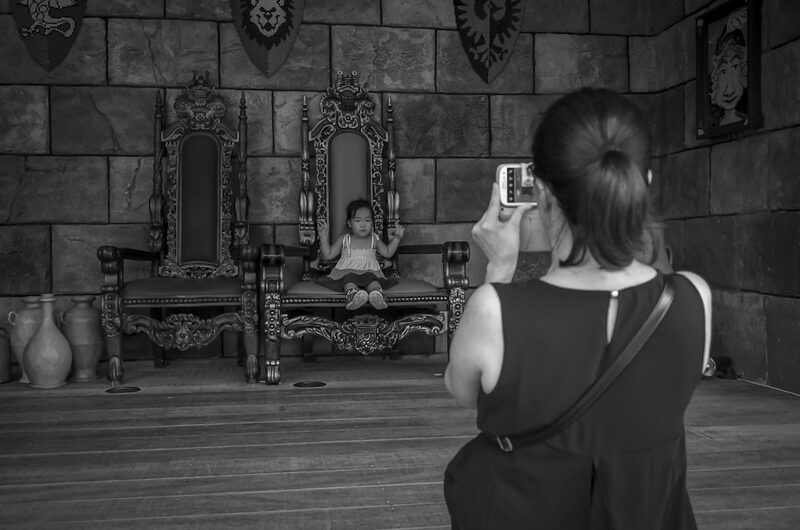 I met this family tourist, Korean or Chinese, I think… The way the husband took the shots with such an angle, the sound of the camera shutter bursting. I mean, oh come on…! Dude… You’re traveling or what? It’s mid-day with a scorching heat and abundant light from the sun, we’re sweating like a pig. Why would you need a speedlite in this situation? It would be a different story if he plays with his speedlite in a strobist style. How Does It look Like Inside? Forget that ‘photographer’, move inside the entrance. As lego maniac, of course, what they want to see first, was any limited edition or some special lego series at some special prices here. I don’t really know that much about Lego stuff. They went inside the store while I’m looking around and taking some photos. 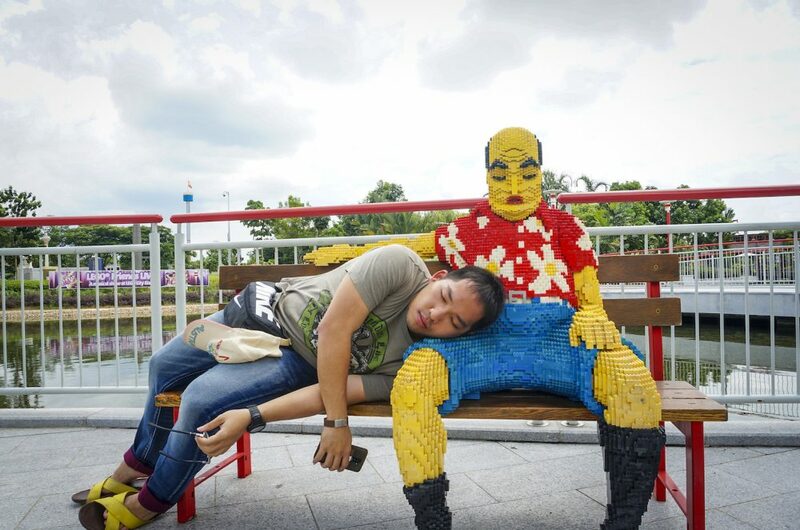 There’s this one lego replica as an uncle sleeping on the bench, complete with his snoring sound effect. Pretty funny, though. We checked the map first before making any move to any direction, as you should too. Plan the move where and what you want to try first in this park. Here’s the map. You can also download it from their official web here. 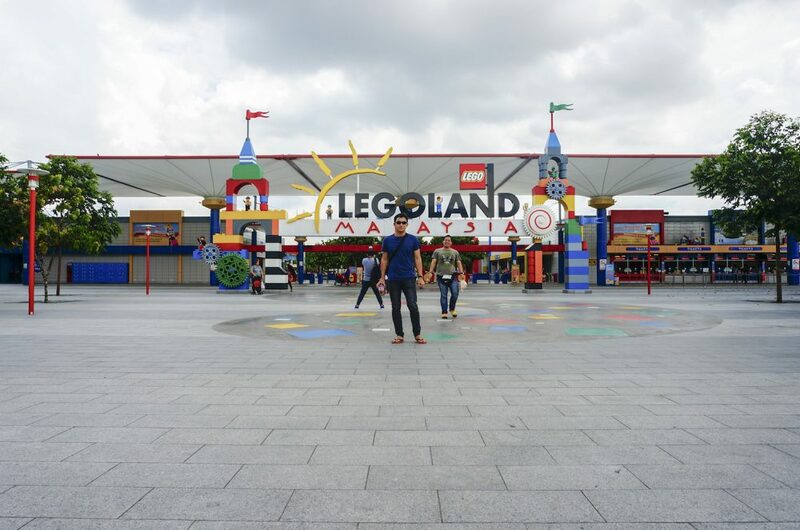 Did you know that the first Legoland was open in 1968 in Billund, Denmark? 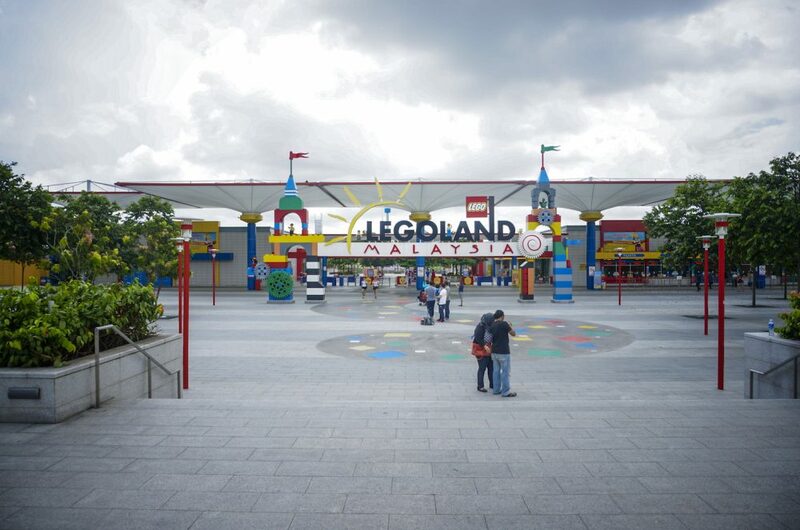 Followed in 1996 in Windsor (UK), 1999 in Carlsbad (California, USA), 2002 in Deutschland, 2011 in Florida, and 2012 the first Legoland in Asia as well as the first International Park in Malaysia. 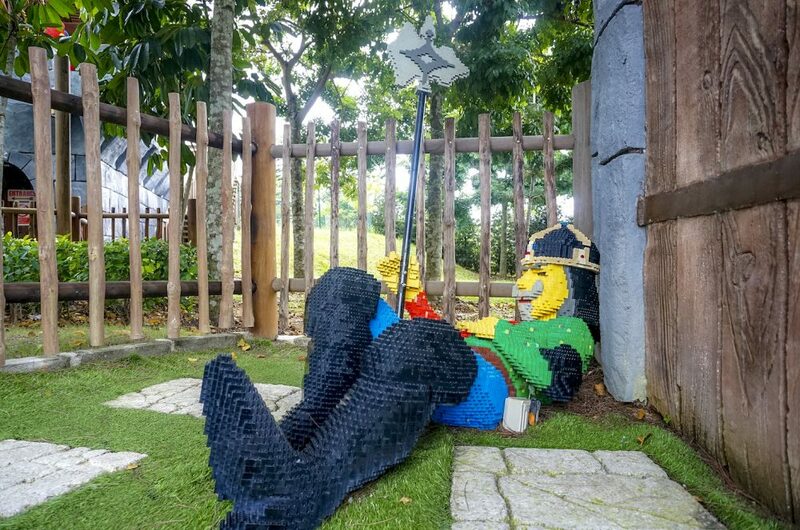 So they are 6 Legoland park all over the world. 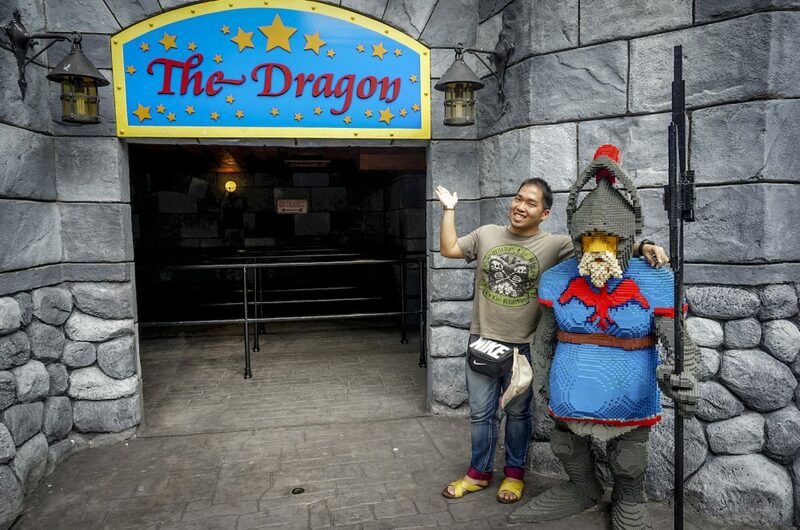 Like I said before, it’s a fun park for kids and adults who is a fan of lego. As far as I can see, there’s only family with children and more and more children in this park. Maybe only 1 or 2 groups of adults like our age playing around in this park. Darth Vader from Lego, awesome! The best way to share it is through photos. Here are some photos to show you what is it look like inside. I should’ve bring a macro lens. Awesome, right? Just don’t puke rainbow. Moving on. 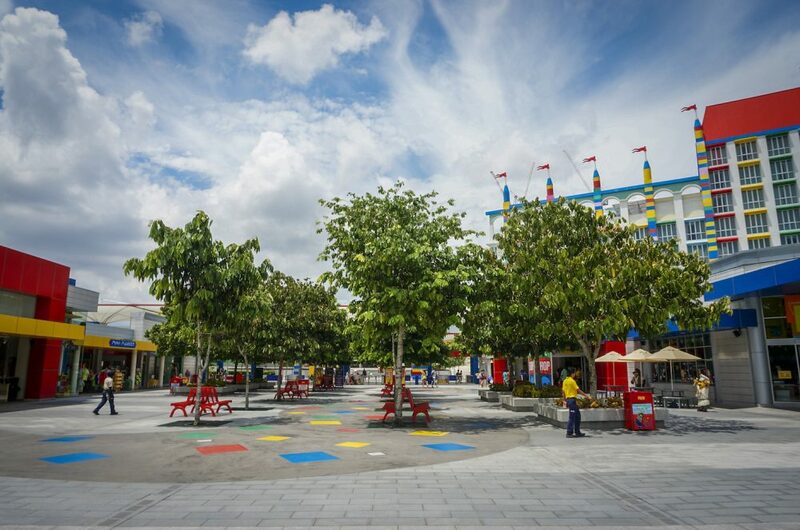 Legoland is quite big, with the total area of 5,500,000 sq ft (510,000 m2) and over 40 interactive rides, shows, and attractions. 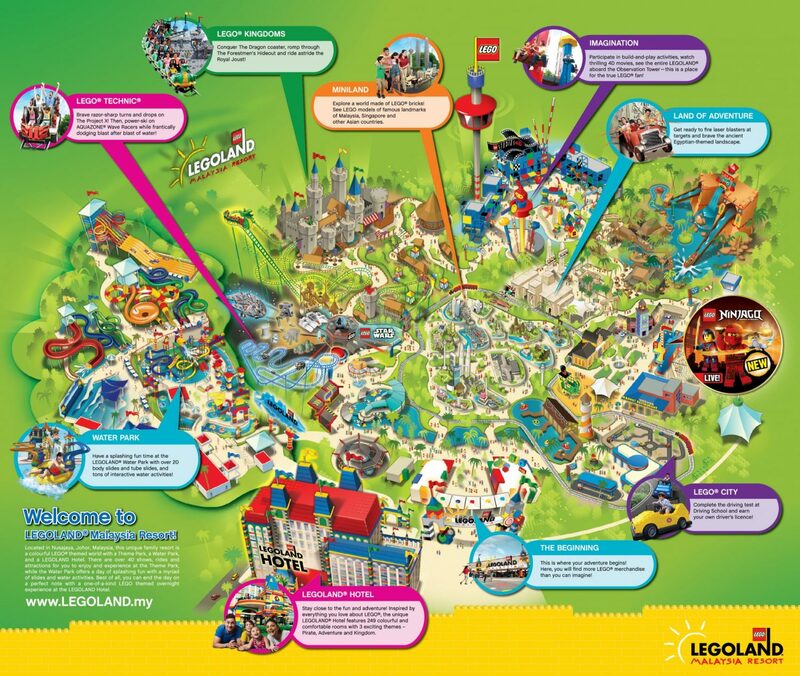 We go around the park clockwise with the map. 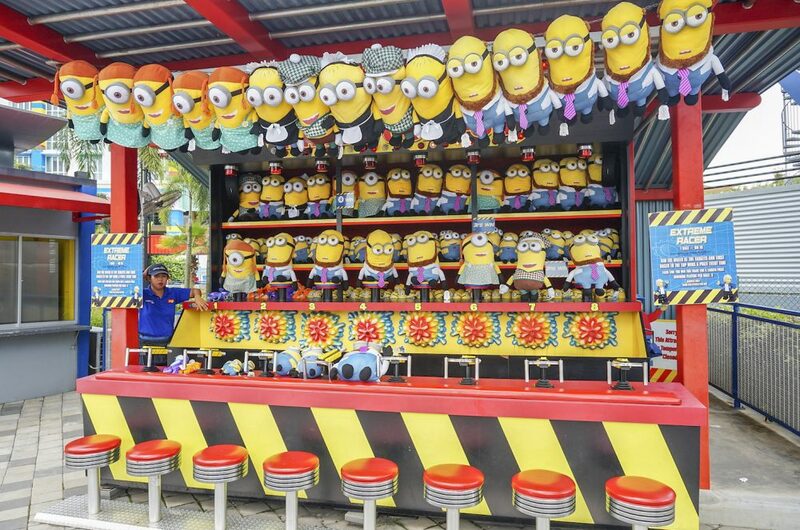 Because it’s mainly targeted for children, so with the rides they go kind of ‘mini’. 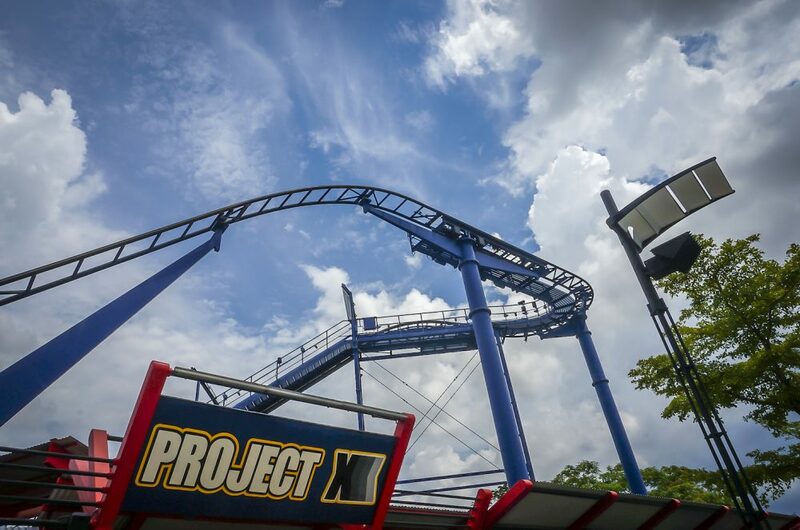 The roller coaster is not too extreme, not too high, but still exciting. 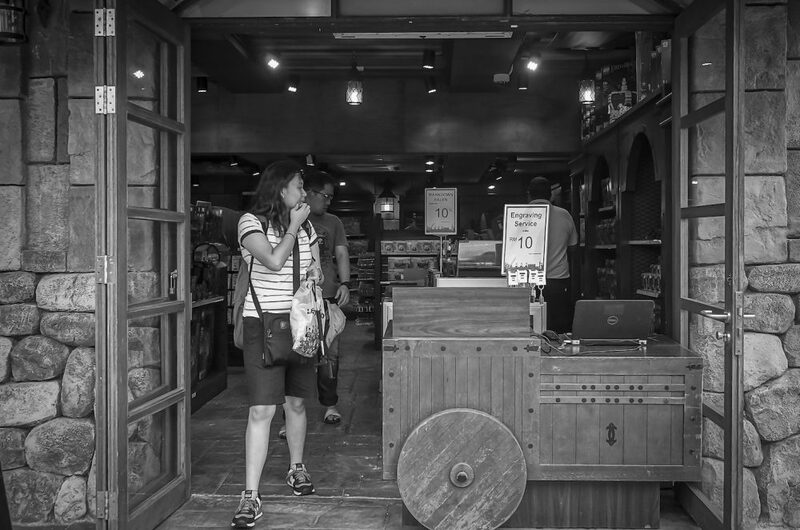 We check the store next to the attraction. Toys here are overpriced, in my opinion. Well, theme park, right? 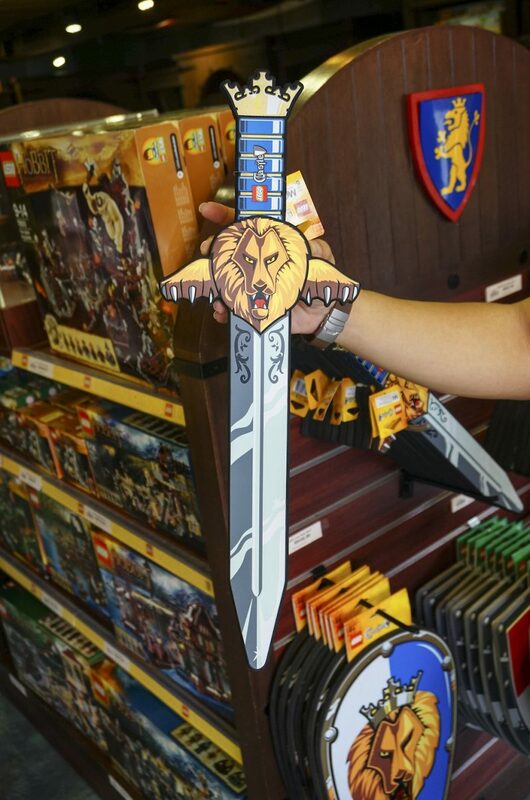 This sword below was RM 45 if I’m not mistaken, it’s not even made from lego. You can engrave souvenirs for RM 10. The sky seems to be a little bit dark, a sign that it’s gonna rain soon, which it was sooner later. We rushed our walk to the center part of the park where the “Miniland” is. 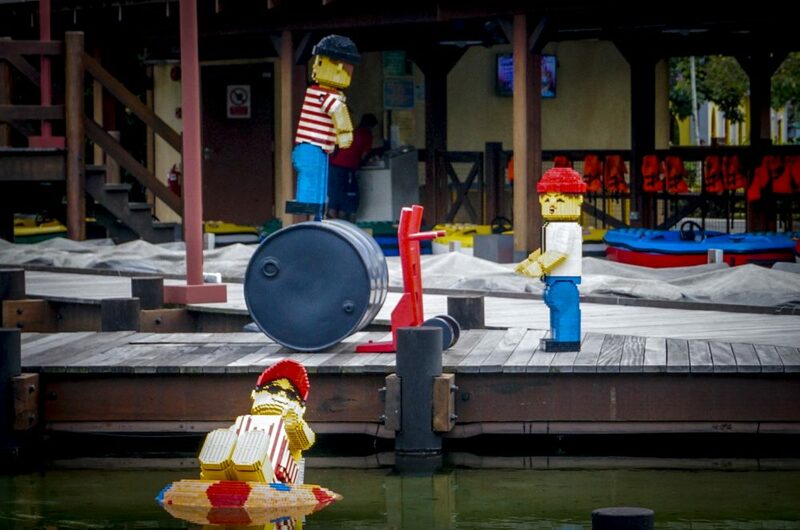 This is the best part of Legoland, at least for me… I love their mini replicas all over this place, amazing. There’s airport, park, port, landmarks, countries, et cetera. Awesome details and how they put it together, I love it. I really wish I bring a macro lens now. Geez… See them for yourselves. After I’m done with this little heaven, it started to rain. We tried to find a shelter as well as many other visitors. Luckily we arrived at this “Imagination” part where there’s a place you can build your own lego, which everybody are under 12 I guess? We’re the only adults that actually playing with legos, other adults have their kids with. There’s 4D cinema and observation tower, too. When it’s raining they stop all the outdoor rides. We’re the only adults that actually playing with legos, other adults have their kids with. There’s 4D cinema and observation tower, too. When it’s raining they stop all the outdoor rides. As soon as the rain was stopped, time to move to the next one. It’s the land of adventure, where you can play lasers and check out some Egyptian themed landscape. Also taking pictures with some cars. Check these photos. You know you always have that one friend who overbuys everywhere you go, right? Yep, this friend of mine bought a lot of legos. You can buy 3 lego mini figures 3 in 1 for RM 11, you get 3 figures assembled with any parts they provide at the table. I myself also bought a techno lego set for RM 99.90. 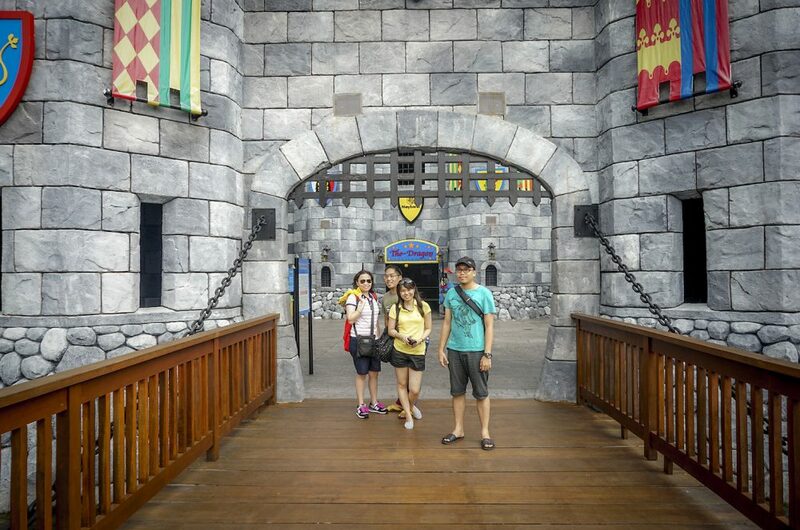 Overall, Legoland was a fun experience. I would recommend for you to go with your children or nephew, it would be great. 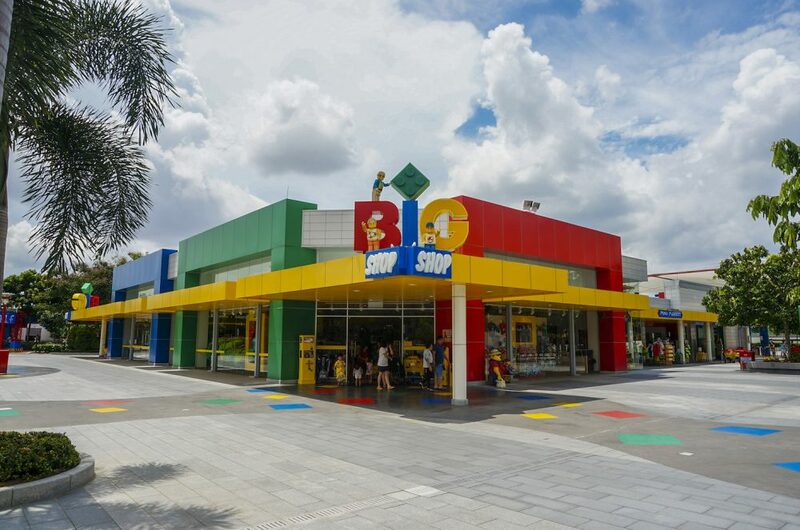 And if you’re a huge Lego fan, then this is the place for you. Have fun, satisfy your inner-child. I personally love the miniland the most, that’s the best part of the park. We made our last stop at Burger King before we go back to the hotel. Dinner at Burger King for RM 82.55. You know Lego are great to make up stories with, right? Check this out. We made up stories with our figures while dine-in at Burger King. I called it ‘The Perverted Story’, LOL! We took a taxi back to the hotel for RM 65 using the meter. The driver is Indian, he took us a bit of detour to show where to enjoy the night in Johor Bahru. We’re going up to our room and take a shower before we’re going out again at night exploring the hotel surrounding. We took a walk to the night market, buying snacks, and ended up having dinner at one of this unique small cafe, I forgot the name, but it definitely unique. They have an old barn house as their interior. That night we spent RM 57.40, we went back to the hotel and have a chat with the concierge about how we plan to go tomorrow to Singapore by bus. I have to give a credit for the concierge staff, he was really helpful in giving us a complete information about crossing the border to Singapore by bus, how much for the price, where can we take the bus, things need to be prepared, et cetera. 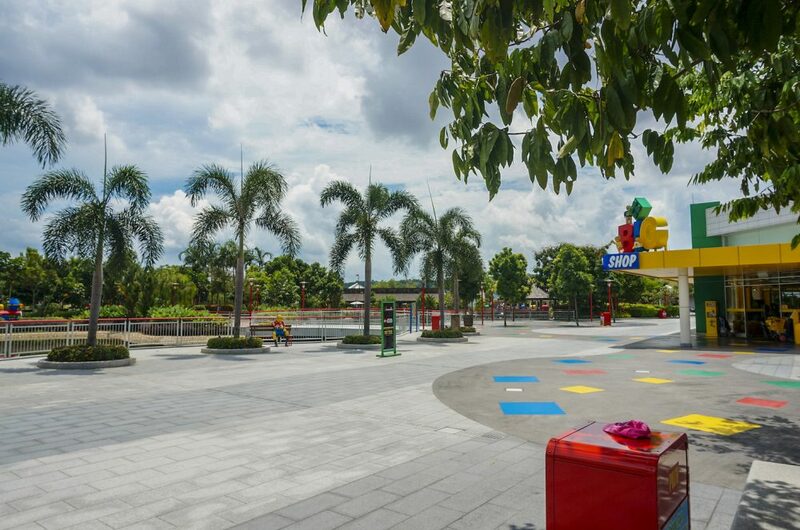 Johor Bahru is very close to Singapore, many citizens from both country often crossing the border as their daily activity. Basically, we just need to go to the woodlands crossing the border and get through the immigration process. But if you go by bus, you will have to do baggage checking process, which requires you to get off from the bus with all your belongings and clear them through immigration. If you can make it board the same bus again, then off you go. But, if you take some extra time through the immigration, the bus won’t wait for you. Most likely, you will have to wait and board the next bus. That’s pretty much a hassle, imagine going with children and lots of baggage. We don’t feel like hopping on and off the bus, so we ask for another option. The staff explained for another option such as taxi and train before finally, he gave us the offer to book a limousine service from the hotel to go directly to Changi airport. That’s what I like from him, he didn’t try to upsell us, instead just being helpful. With the limousine service from the hotel, “You just have to sit and relax, everything will be taken care for you…” that’s what he said. Of course, that offer will make you interested. But then, what about the price? It’s RM 324 for a limousine (Alphard or Hyundai Grand Starex). Hey, that’s not bad, with 5 of us, that will be about RM 65, no hassle, straight to Changi in a limo. Deal! The next morning, we woke up at 8 something and sip a coffee, then had a breakfast just across the street from our hotel. There’s this small noodle shop which got quite a lot of visitor. We don’t have much time anyway, so yeah there we had breakfast noodles with dumpling for total RM 36. Trying the popular shot. LOL! We would surely forget about time if it wasn’t for this one friend remind us about the limo. Time flies when you enjoy it so much. It’s been a nice stay at Double Tree. As soon as we get to the lobby, our limo was ready in 5 minutes. Check out process was smooth. I would rate this hotel 10 out of 10. Pleasant stay! Our ride to Changi took about 1 hour. It’s really easy to get through the border, we just have to give our passport to the driver, let the immigration officer do their job, and we’re good to go. The border was quite packed with cars, it’s a busy border. Thank God we chose this limo. If you want to go with another option, this link might be useful for you. In Changi, we’re having a late lunch at Paradise Dynasty. Their La Mian and Xiao Long Bao are very recommended. That lunch costs us about SGD 40 something. 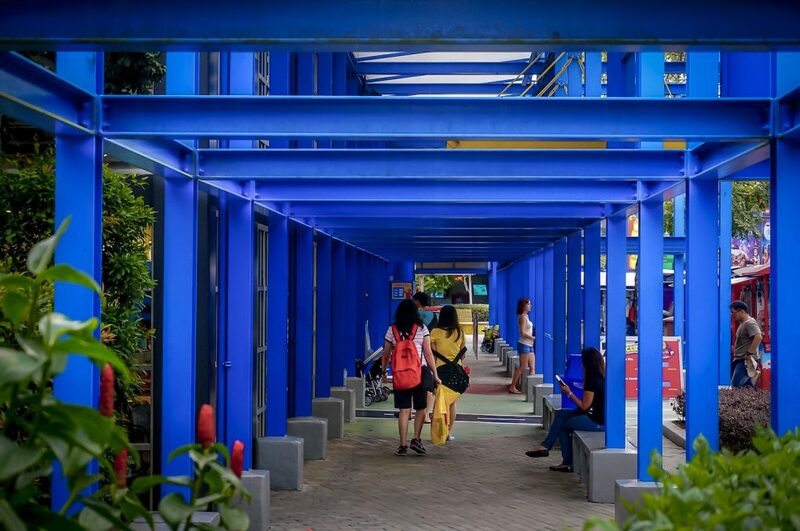 Check out some recommended activities in Changi, given the title as one of the busiest airports in the world, they surely one of the best airport with lots of things to do inside. We flew home with Lion Air with just a short delay for 10 minutes. 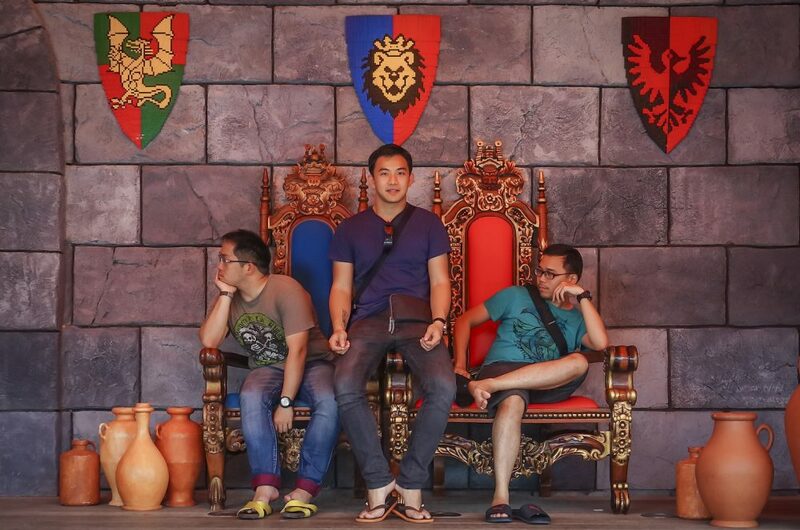 Our overall experience enjoying Malaysia was nice, although we didn’t have much time to spent. Always do your research, always. And never be lazy to plan your trip for the best experience. 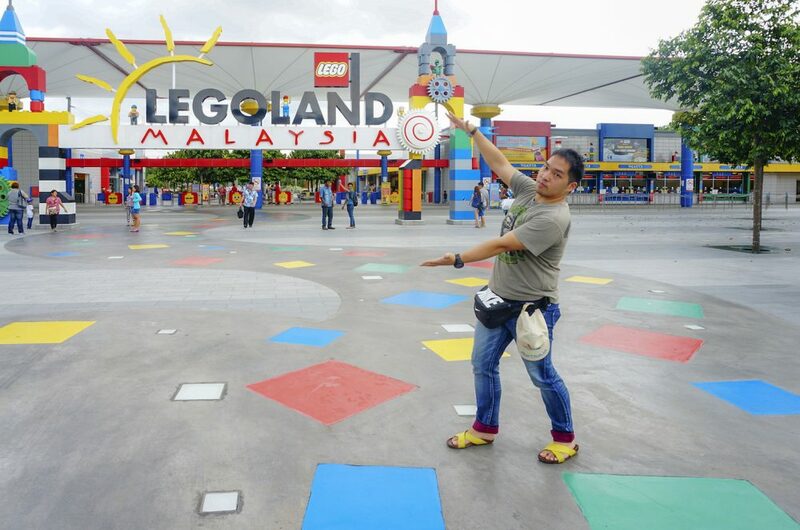 My three best experience on this trip are the Twin Tower, KL Tower, and Miniland in Legoland. I hope these 4 series of travel journal in Malaysia can be a useful information for you to help you see a glimpse and plan your next trip to Malaysia. Check out their official tourism site for updated info and events. I have upcoming series from Penang and Malacca, I’m trying to work it up, bear with me. Until then, don’t forget to subscribe and share, you did a huge favor to keep us blogging with your support. Thank you so much for reading. Bye! 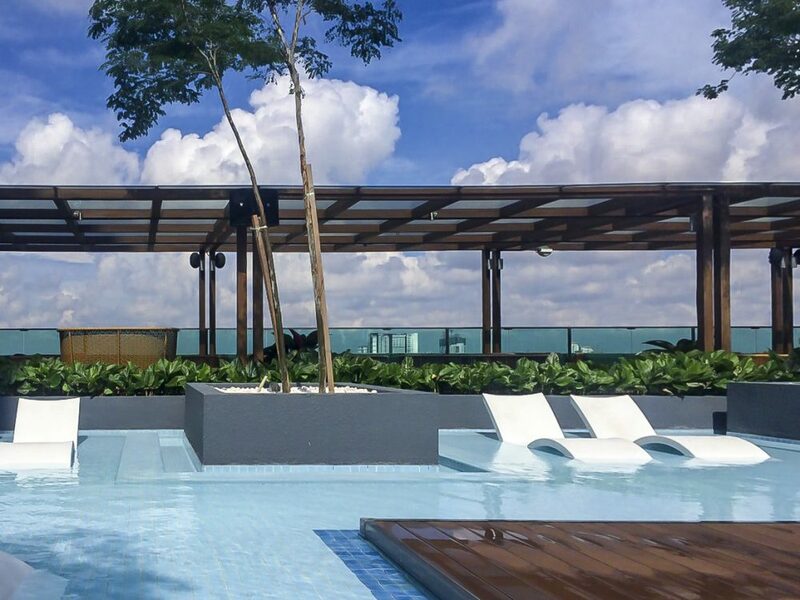 Looking for the best hotels in Johor? 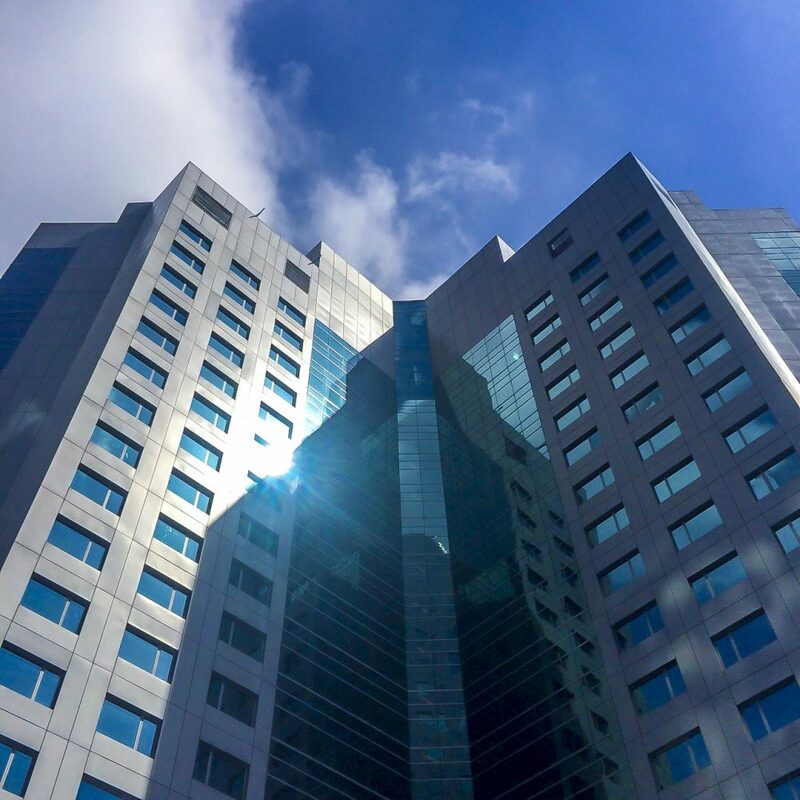 Try Double Tree by Hilton for a pleasant stay in Johor Bahru. Book your bus or train ticket online to Johor. 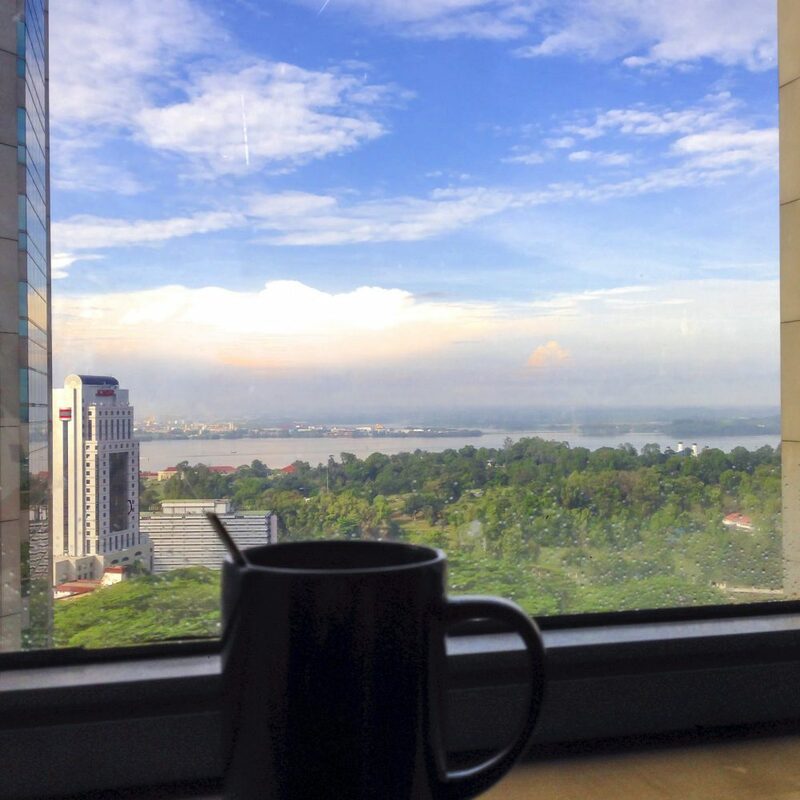 Some recommended hotels in Kuala Lumpur. Keep up posting great stuff! Thank you so much, Bill! Hope that our blog can help you in travelling.